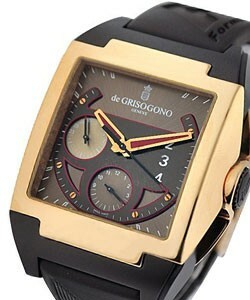 de Grisogono is the creation Of Fawaz Gruosi a Florentine who for some years has been jeweler to the rich and famous in Geneva, Switzerland. 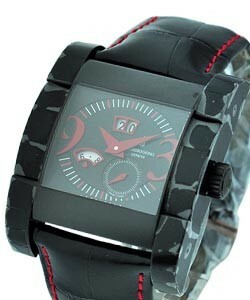 Creative and worldly he designed a watch that captured the imagination of many and a brand was born in 2000. 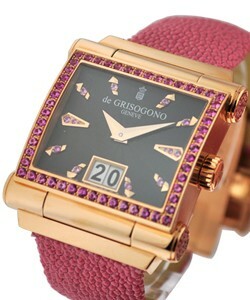 Unique design and superb quality are at the heart of de Grisogono. 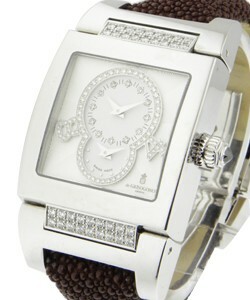 This brand is relatively young, being started in the year 2000 by Fawaz Gruosi who had been a jeweler for quite some time and decided that it was time to include exquisite timepieces to his jewelry . 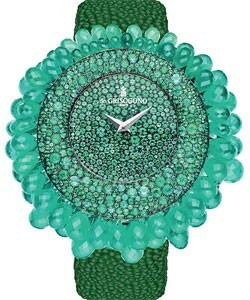 The de Grisogono luxury watches come in collections for men, women and limited editions. 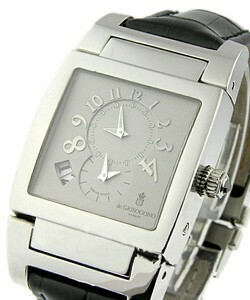 The men's collections include the 'de Grisogono FG One', 'Fuso Quadrato', 'de Grisogono Instrumentino', 'Instrumento Doppio Tre', 'de Grisogono Instrumento Grande', 'Instrumento Grande Open Date', and the 'de Grisogono Instrumento NoUno'. 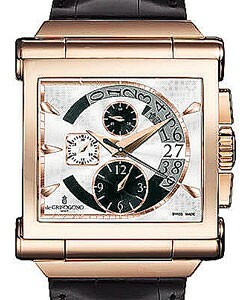 The 'de Grisogono Fuso Quadrato' includes a very original design for displaying the second timezone function with a mechanism that can show or hide it as you wish. 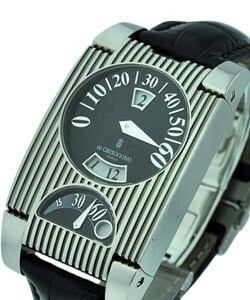 The de Grisogono 'Instrumento' collections include multiple complications and daring designs, such as the 'Instrumento Doppio Tre' which is a double sided watch that can show three time zones simultaneously. 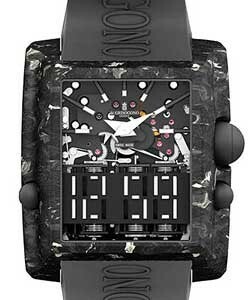 The case can revolve, which gives this a unique look. 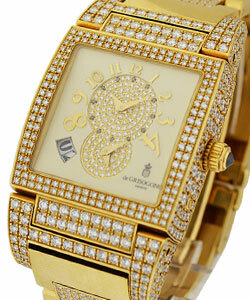 Some have open dials and use precious gems in addition to the precious metals. . 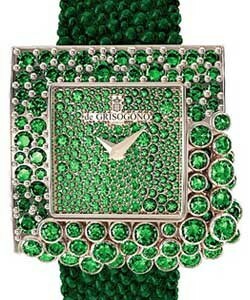 The de Grisogono luxury watches for women are just as creative and stunning. 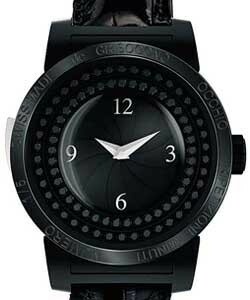 They include 'de Grisogono Be Eight', 'de Grisogono Boule' Watch, 'de Grisogono Instrumentino, 'Instrumentino Small', 'Instrumentino Steel & Diamonds', 'Instrumento Grande', 'Instrumento NoUno', 'Instrumento Novantatre', 'de Grisogono Instrumento Tondo', 'de Grisogono Lipstick', and 'de Grisogono Piccolina'. 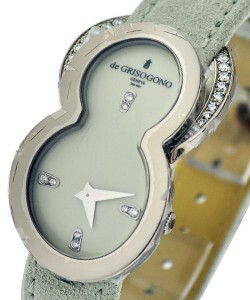 The de Grisogono Instrumento collections are similar to the men's, but are perfect for women. 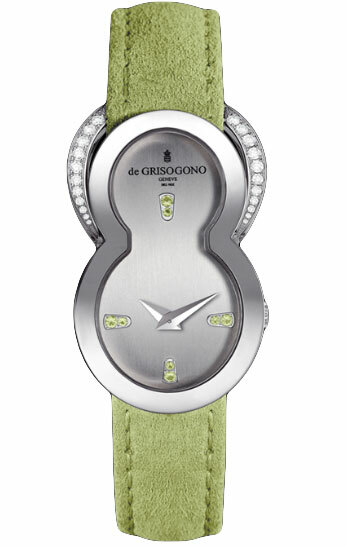 The 'de Grisogono Be Eight' collection's timepieces are shaped like a figure eight and are very appealing with their diamonds and precious gemstones. 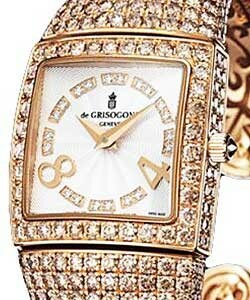 The 'de Grisogono Boule' Watch collection is enchanting with is round shape and beautiful gold and diamonds or precious gemstones. 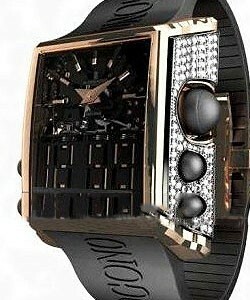 It is on a chain, which also makes it unique and desirable. 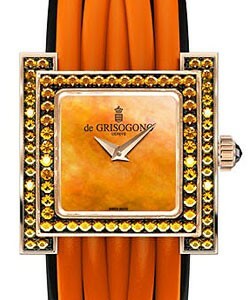 The 'de Grisogono Lipstick' collection is based on the shape of a lipstick case with either a few or many gemstones and is distinctly feminine. . 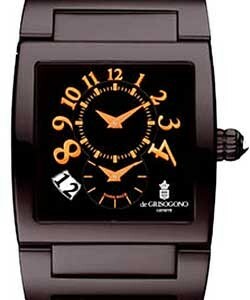 The de Grisogono luxury watches in the Limited Editions include the 'de Grisogono Black Forever', 'Meccanico DG', and the 'Occhio Ripetizione Minuti' collections. 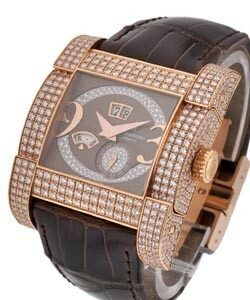 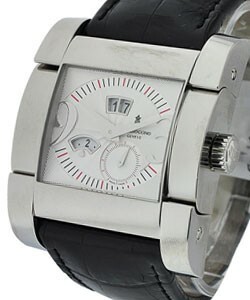 Whether you're looking for style, or something beautifully complicated, you will love these high-end luxury watches.